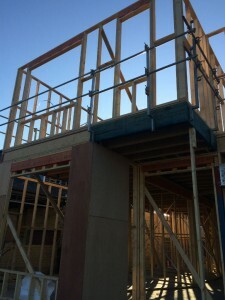 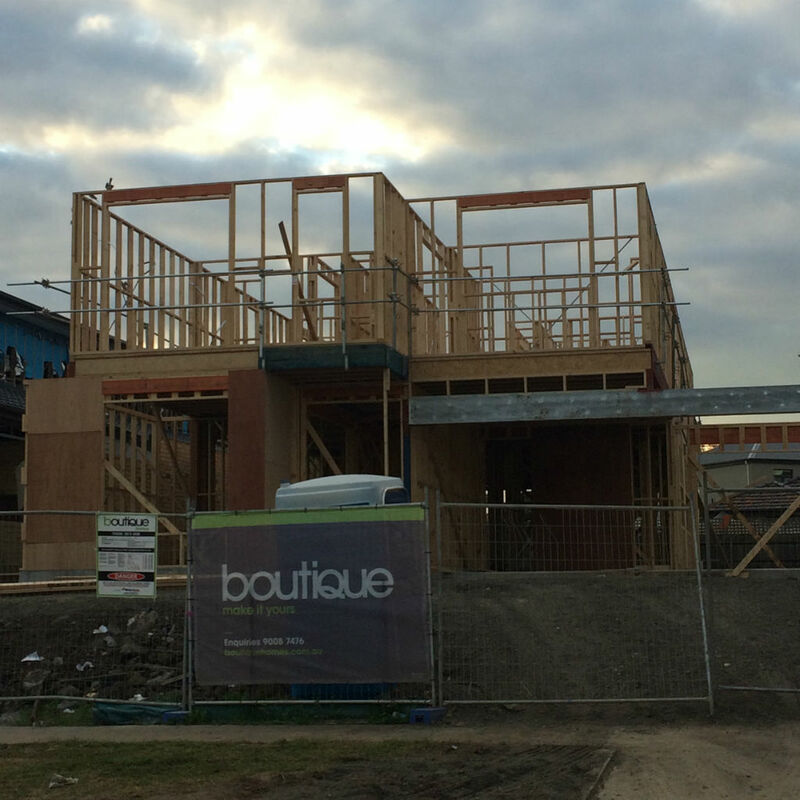 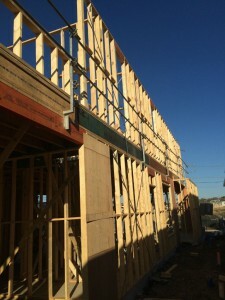 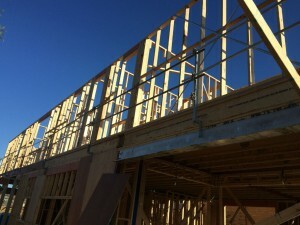 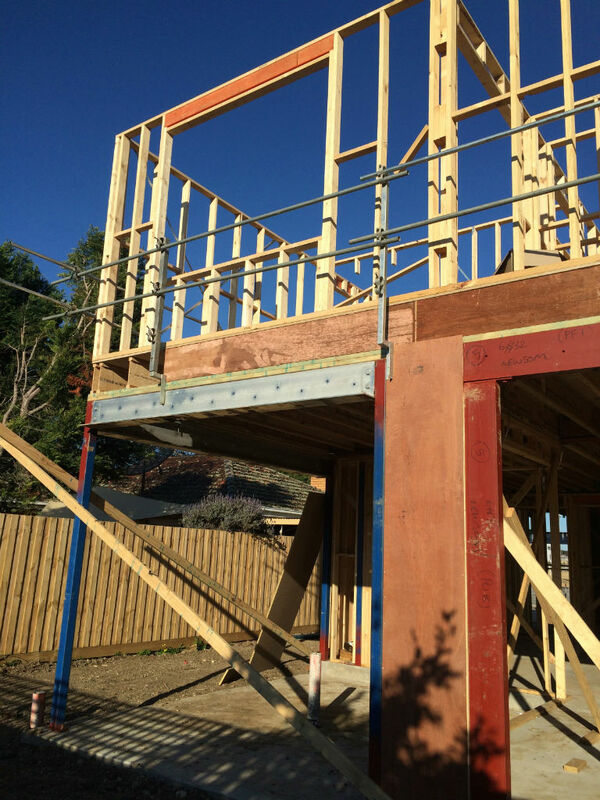 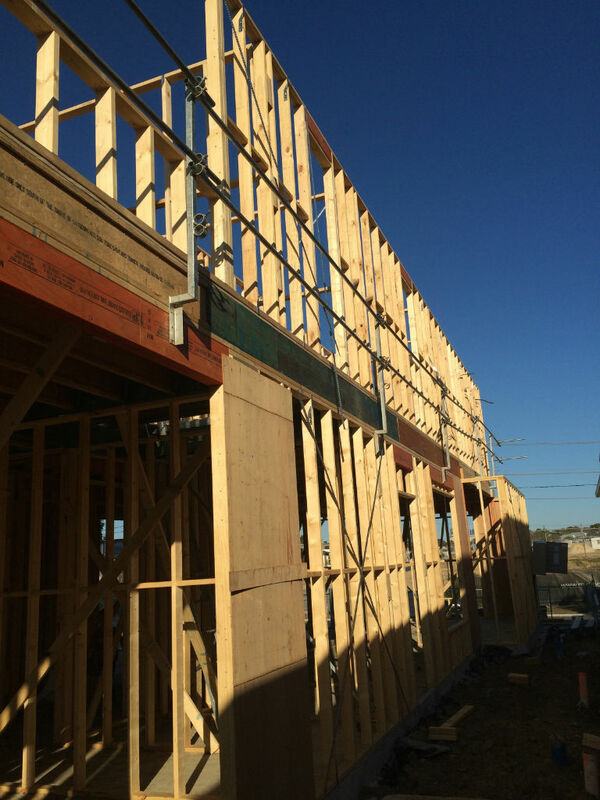 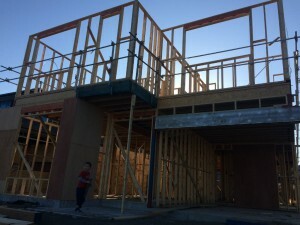 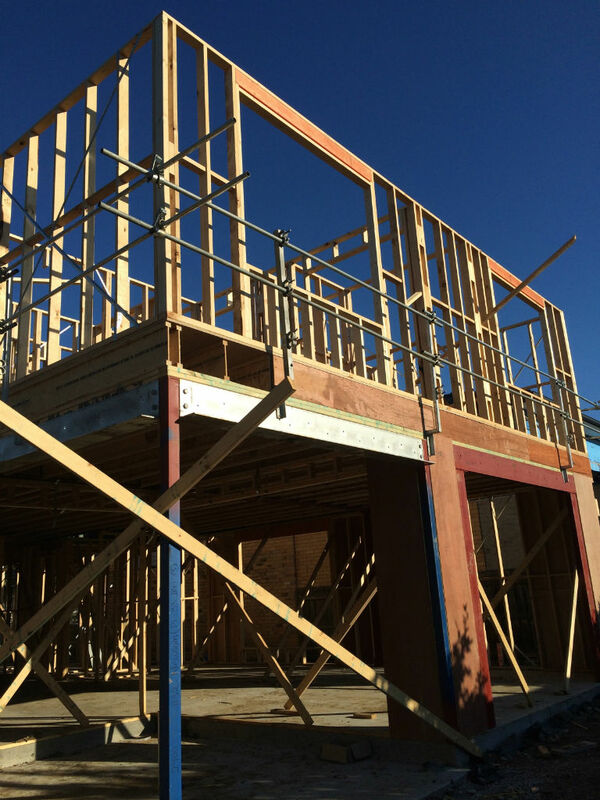 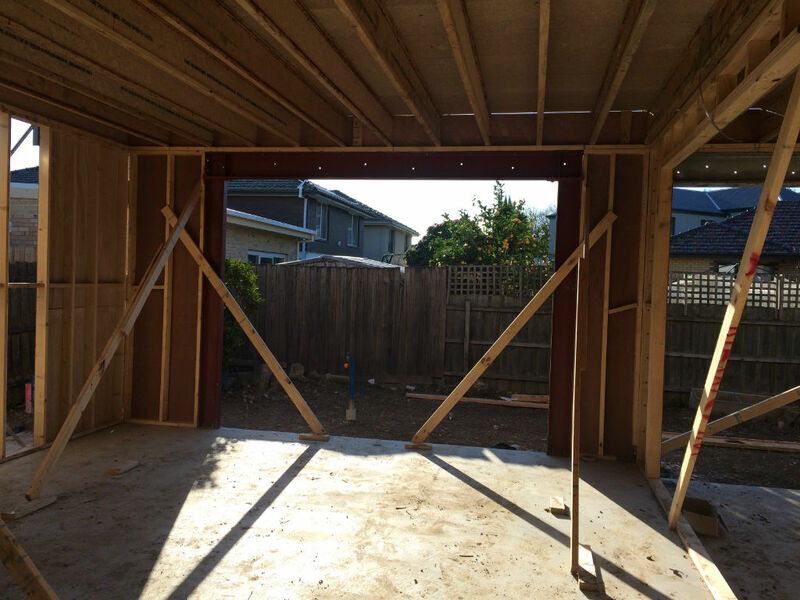 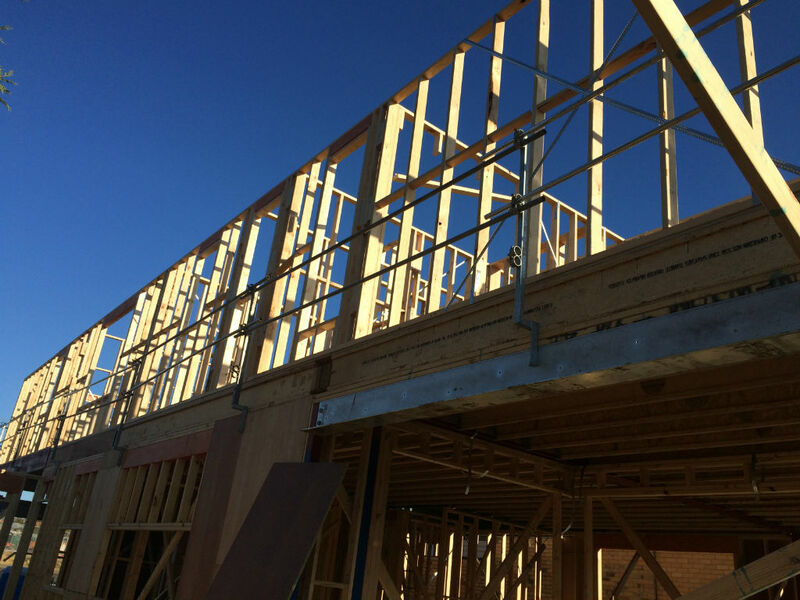 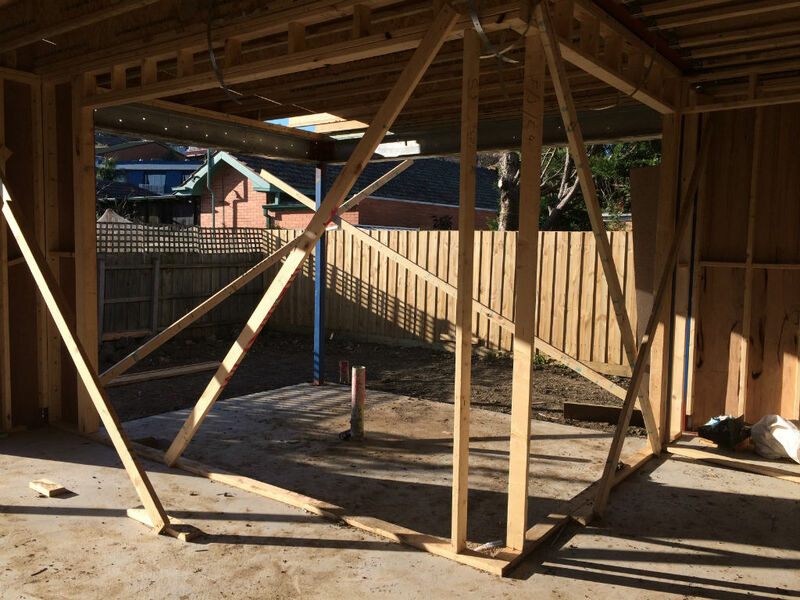 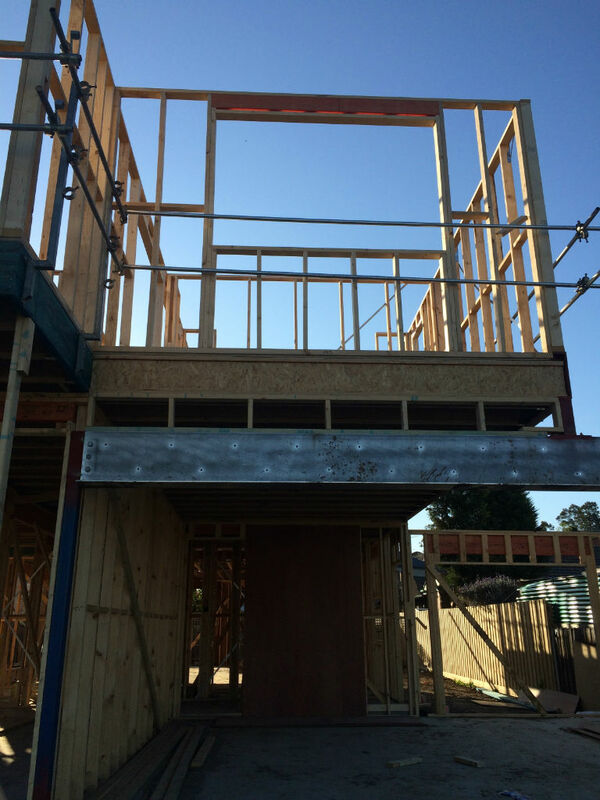 So I’m a little late with my week 5 update… It was an exciting week as the second storey went up!!! It was amazing to see how quickly it happened, and it gave a real insight into the actual height of the house. 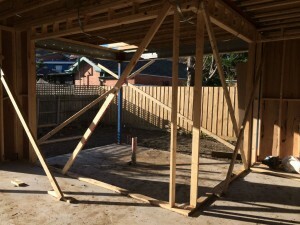 And it is certainly big!!! 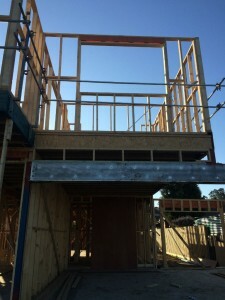 My son was pretty impressed as I was able to point out his room. 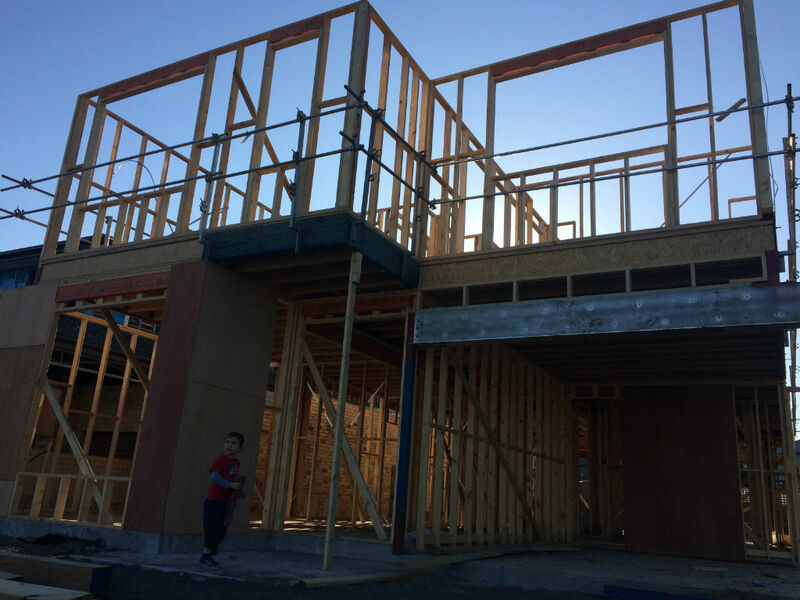 He loves driving by and seeing the builders working – he currently wants to be a builder. 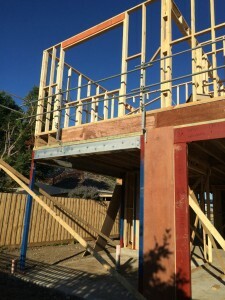 I haven’t been upstairs as yet… I have a small fear of heights and hate climbing ladders. So as much as I want to see and get a feel of the bedroom sizes I’m yet to do it. 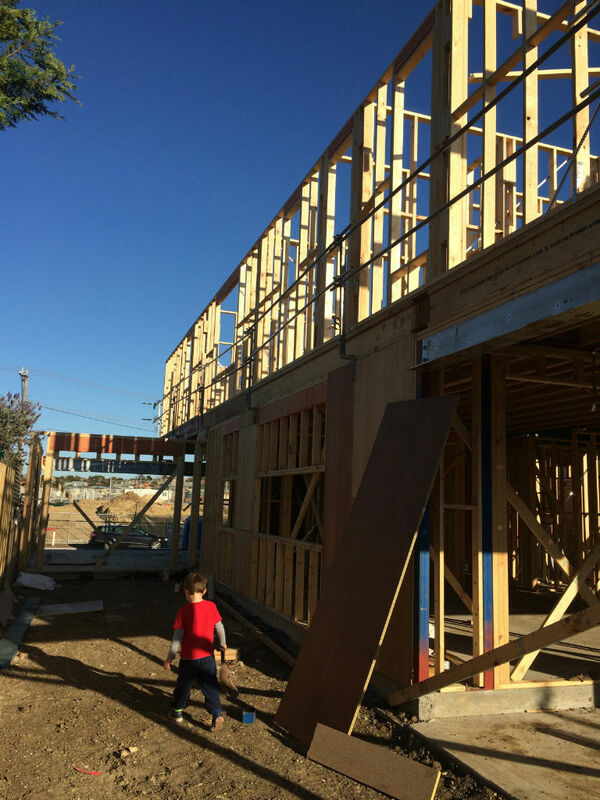 I also tend to the have the children with me, and it’s not a place for them, as much as my little man would love to climb the ladder. Second storey goes up – late evening photo so very dark. 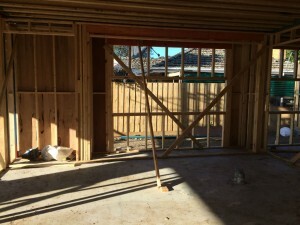 Down the ‘dead’ side of the house. 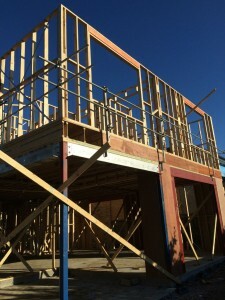 Jack’s room is up there!!! 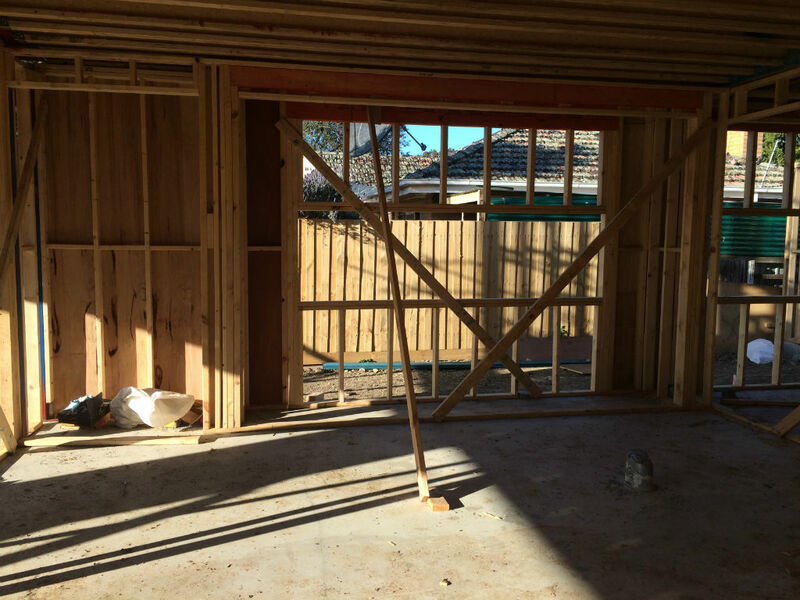 So it is certainly coming along – and it is very exciting. 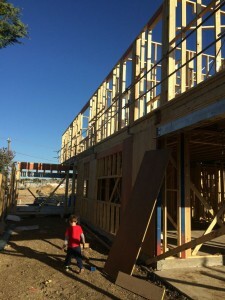 The children can now actually “see” the house, and it makes much more sense to them now.